As freelance writers, we’ve all been there. Maybe it’s not a lot of debt – maybe just a couple of credit card bills that are racking up some interest because your income forecasting fell short. It’s just a bad year in a cycle of good and bad years. Or maybe it’s more than that. Maybe you’ve recently faced some emergency expenses and you’re buried under a pile of loans and bills, some of which are even going to collections. What’s a writer to do? In many cases, we’re already working at maximum capacity – there just aren’t enough hours in the day to write more. But that doesn’t mean you’re trapped. There are ways to get out of debt if you’re strategic about your money management. If you’re trying to pay the bills on a writer’s income, here are 3 strategies that can help with your freelance finances. 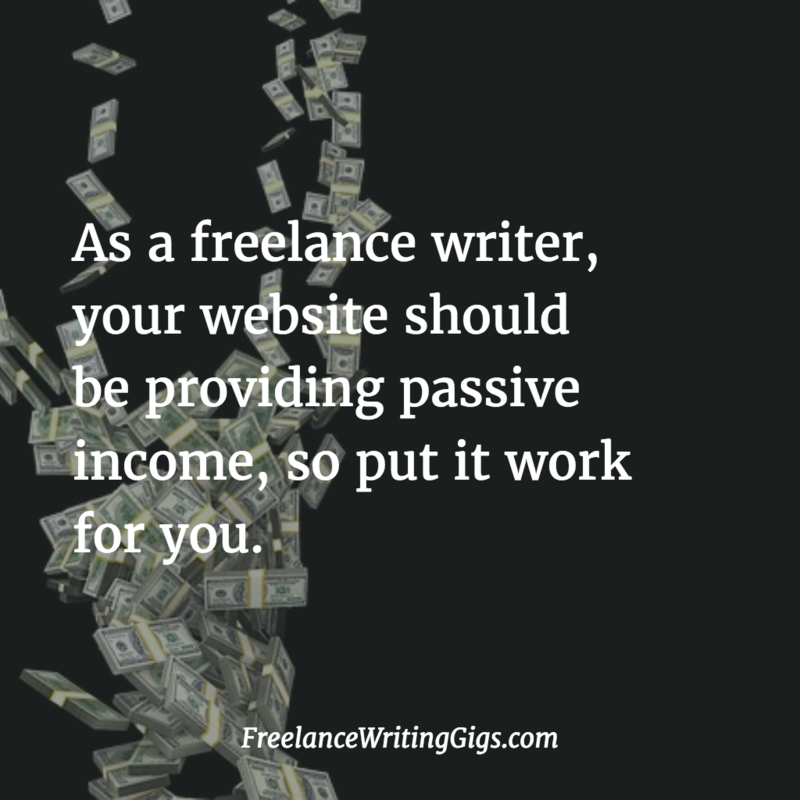 As a freelance writer, your website should be providing passive income, so put it work for you. Invest a little money to get a logo made if you don’t have the graphic design skills to do it yourself. Recruit former clients to write testimonials. And always be on the lookout for high-profile sites where you can guest post. Guest posting on a high traffic site can boost your profile immensely and send the clients flooding in. If your website is bringing in a little side cash, funnel it directly into paying your debts. Consider this money you wouldn’t be earning otherwise and not a part of your general income. It may not be much money at first, but over time passive website income adds up. As a freelancer, you may have two different kinds of debt: personal debt and business debt. These are separate entities and should be dealt with separately for several reasons, but there is one thing they have in common: you can combine debts within a single category to make them easier to pay off through a process known as debt consolidation. For debts stemming from personal expenses – your roof sprung a leak, you had a medical emergency, or maybe your credit card bills and student loans are just proving to be too much – you might consider applying for a personal debt consolidation loan. By funneling all of your debts into one place, you reduce the number of payments you need to track each month and make it easier to pay down the sum total. Plus, if you’re incurring a high interest rate on certain debts, you may be able to bring them down with the right loan. A similar process applies to your business debts, but we recommend meeting with a commercial debt counselor rather than a standard loan officer under these circumstances. 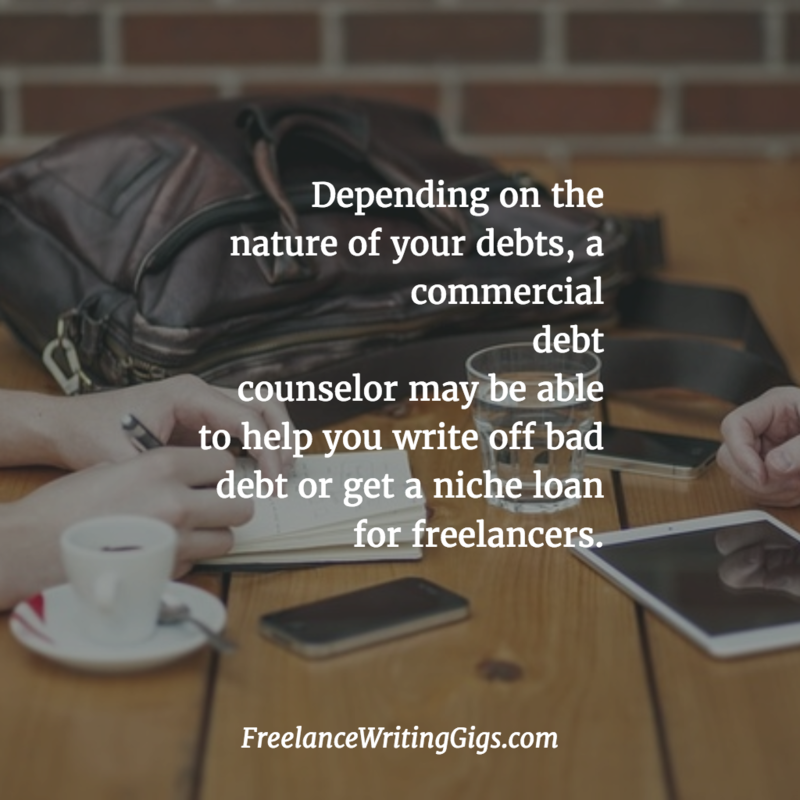 Depending on the nature of your debts, they may be able to help you write off bad debt or get a niche loan for young freelancers. Finding someone who knows the industry – or at least understands commercial debt’s differences from traditional debt – can really help set you on the right path. Finally, if you aren’t already dividing your expenses between personal and freelance, start now. You should be carefully tracking all business expenses since they qualify as tax write-offs and, ideally, should even have separate bank accounts for business and personal finances. It may seem unwieldy at first, but it’s actually a much more practical way to organize your money. Once you’ve drawn a clear line between your personal and business expenses, get your business on a zero budget – expenses absolutely cannot outpace income – and stick to it. Use budgeting software if you have to; there are plenty of inexpensive options out there. If your freelancing gigs aren’t turning a profit, you won’t be able to stick with it and you definitely won’t be able to get out of debt. 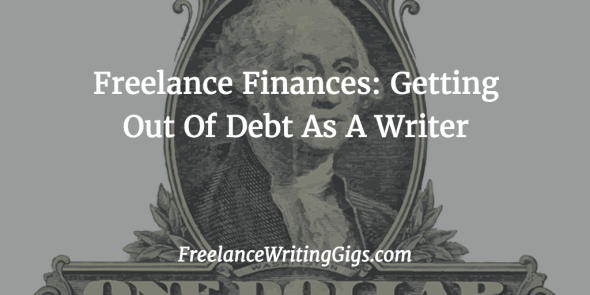 Debt is not inevitable as a freelance writer, even if it feels like it is sometimes. Remember, in freelancing, everything cycles. There will be good months and bad months, good years and bad years. If you’re experiencing a good year, be proactive. Save money, limit spending, and know it won’t last. If you’re in a bad year, buckle down and get help, if necessary. At the end of the day, freelancing is about maintaining balance. How Do You Make Ends Meet on a Bad Month?